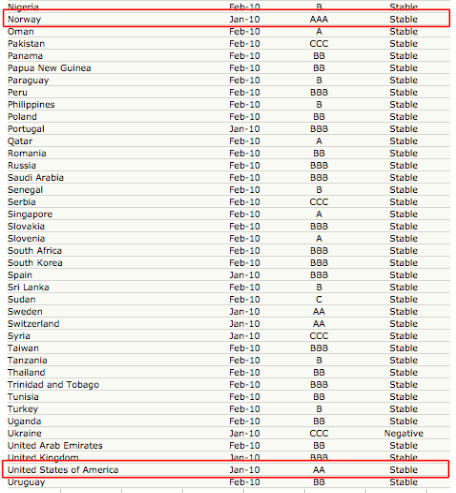 According to the Economist Intelligence Unit (EIU), based on their Country Risk service’s sovereign ratings, the United States does not have the best credit rating in the world. 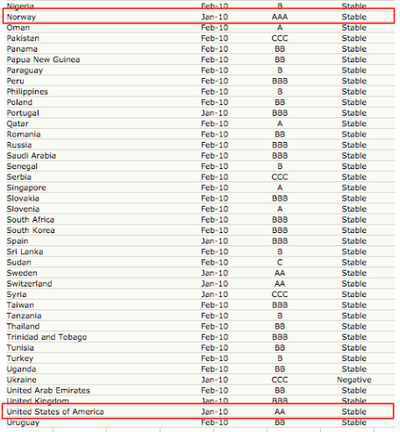 The U.K. is already at BBB even, on par with Spain, from the Economist. See their full rankings here.